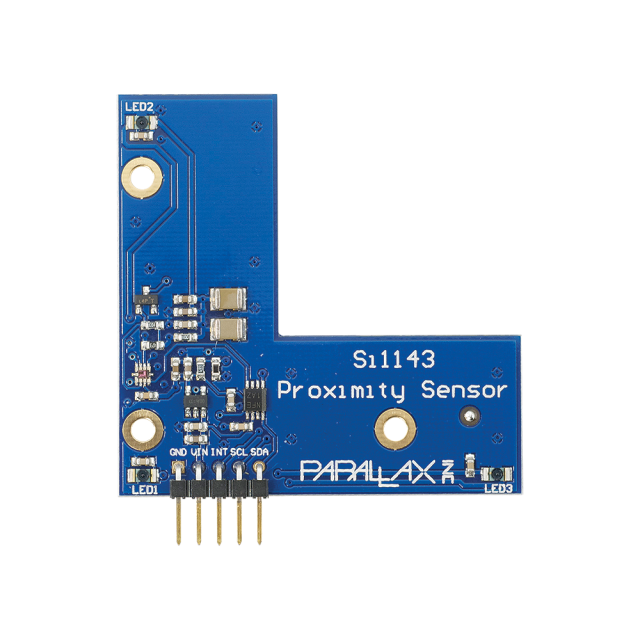 Si1143 Gesture Sensor Product Guide. BASIC Stamp Si1143 Gesture Sensor Demo (BS2). Propeller P8X32A Gesture Sensor Demo (Spin). Si1143 Gesture Sensor DipTrace Schematic. A white paper on simple gesture recognition algorithms using PIR sensors. The Si1143 Gesture Sensor is great for non-contact gesture recognition in microcontroller applications. By measuring infrared light levels from the three onboard IR LEDs, gestures in the up, down, left, right and center select directions can be detected. Measures visible and IR ambient light levels, providing a range of operation from darkness to full sunlight. Easy communication interface is compatible with any microcontroller. 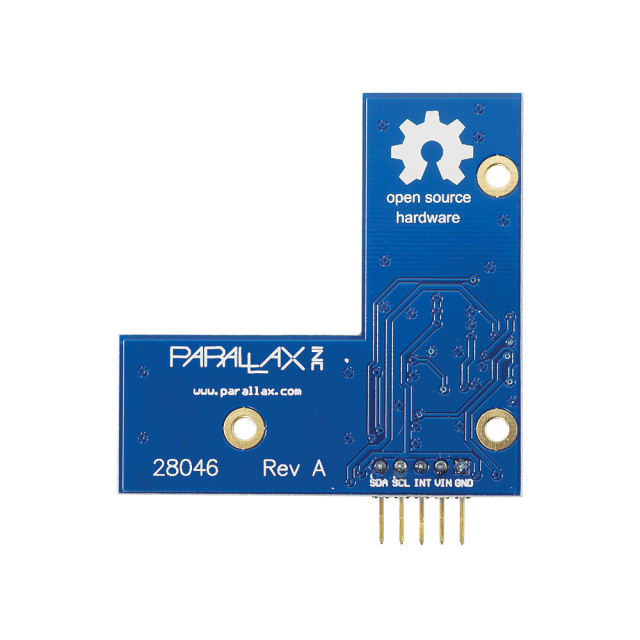 Standard 0.1" header pins provide a convenient connection to breadboard or through-hole projects. Touchless remote to control music or video. Object detection for robotics and navigation. Automatic faucet or equipment control for sanitary environments. Current requirements: Less than 4 mA average. Dimensions: 2.0 x 2.28 x 0.22 in (5.08 x 5.79 x 0.48 cm). Operating temp range: -40 to 185 °F (-40 to 85 °C).